Liva Caldonia Innis was born 15 Jan 1883 in Clinton County, Kentucky and died 22 Oct 1956 in Whitewright, Grayson, Texas.1 Liva was married to Alonzo Huston Taylor and was the easiest of the children to locate. Her death record was the first one that came up when I searched for Thomas Innis and she is the Mrs. L. [Lon] H. Taylor who was the informant on her mother’s death certificate. Okay – I did it – I looked at a family tree because of Ocie. I couldn’t find anything except that Ancestry tree to help me identify a marriage or a date of death. It is important to note here that the information in those trees was not sourced – I found no outside online information that verifies that death date. I checked all the cemeteries in Bryan County and found no grave for Ocie. I won’t directly pursue these lines any further as I have enough information concerning the children of Thomas H. Innis and Elizabeth N. Davis. Also going any further would bring us into the living generation and our focus is ancestral. When I begin work in Clinton County, Kentucky while looking at the children of John H. and Nancy Innis, I will still keep my eye out for any birth, death, or marriage records that might apply to this generation and I will update them as needed. 1. Texas, death certificate no. 58736 (22 Oct 1956), Liva Caldonia [Innis] Taylor; digital image, FamilySearch, “Texas Deaths, 1890-1976,” FamilySearch (www.familysearch.org : accessed 27 Dec 2009). 2. Texas, death certificate no. 73114 (9 Nov 1936), Alonzo Taylor; digital image, FamilySearch, “Texas Deaths, 1890-1976,” FamilySearch (www.familysearch.org : accessed 20 Jan 2010). 3. “Texas Death Index, 1903-2000,” database, Ancestry (http://www.ancestry.com : accessed 20 Jan 2010), William D. Taylor, 4 Nov 1949, Cert. #53355. 4. Texas, death certificate no. 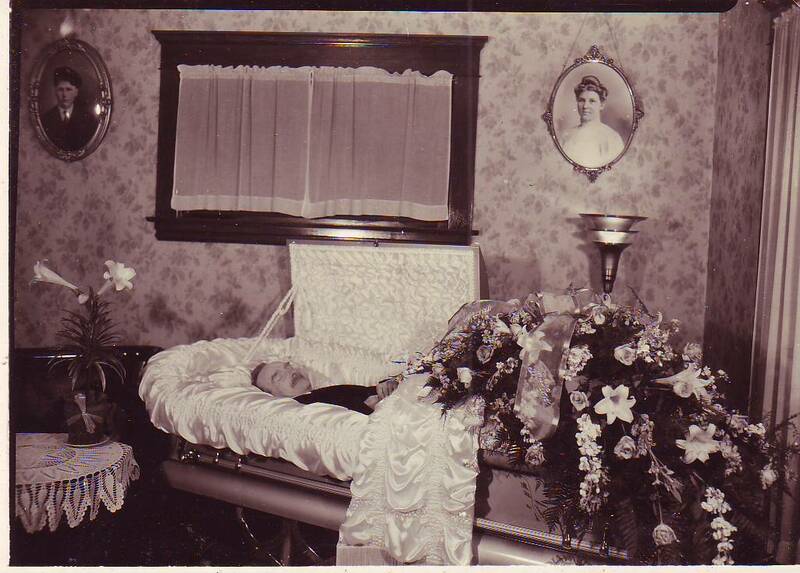 7925 (17 Feb 1931), Hattie May Roller; digital image, FamilySearch, “Texas Deaths, 1890-1976,” FamilySearch (www.familysearch.org : accessed 20 Jan 2010). 5. 1910 U.S. census, Grayson County, Texas population schedule, Justice Precinct 3, enumeration district (ED) 90, p. 3A, dwelling 45, family 46, L. C. Taylor; digital images, Ancestry (http://www.ancestry.com : accessed 21 Jan 2010); citing National Archives and Records Administration microfilm T624, roll 1557. 6. Social Security Administration, “Social Security Death Index,” database, Ancestry (http://www.Ancestry.com : accessed 20 Jan 2010), John Taylor, SSN 455-18-5543. 7. 1910 U.S. census, Grayson County, Texas population schedule, Justice Precinct 3, enumeration district (ED) 90, p. 3A, dwelling 45, family 46, L. C. Taylor; digital images, Ancestry (http://www.ancestry.com : accessed 21 Jan 2010); citing National Archives and Records Administration microfilm T624, roll 1557.